Interestingly enough a marriage can be on the rocks for years with both parties unhappy. The nagging, power struggles and constant arguing may have turned loving feelings to hate and bitterness. 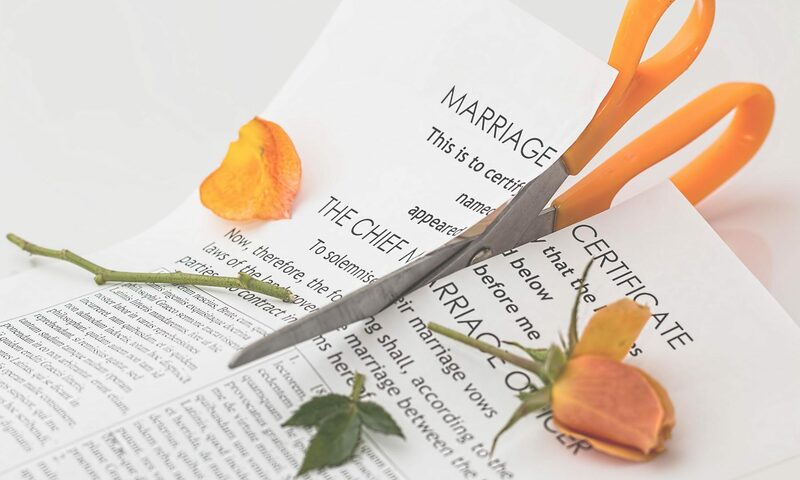 Many times people feel as though the only solution is to divorce, but divorce has its own set of consequences and issues. Dysfunctional relationships can sometimes feel like the norm, especially if they have been that way for a long time. When the relationship ends, you expect to feel better, relieved and hopeful but instead, you discover that you miss the dysfunction. Constant unhappiness with your partner became your usual routine, and now that he or she is gone it may feel like something is missing. Along with the changes, divorce brings it also stirs up feelings of failure and low self-esteem. It goes without saying that no matter why divorce happens, it is a massive life change and can often lead to depression. Please keep in mind that just because you are sad after divorce doesn’t mean you are suffering from depression. The most apparent symptom of depression is feeling sad and “empty” for an extended period. We all get sad from time to time, but it usually passes. If you have been divorced for several months and still feel hopeless and miserable, you may be suffering from depression. Depression can also cause feelings of anxiety, hopelessness, pessimism, guilt, irritability, restlessness, worthlessness and helplessness. Physical signs of depression include; insomnia or too much sleeping, overeating or loss of appetite, trouble concentrating, tiredness, headaches, digestive problems and loss of interest in doing things you once enjoyed. Severe signs of depression include thoughts of suicide or suicide attempts. If you experience any of these, you should seek professional help immediately. There are several options for managing depression after divorce; the first step is to seek outside help by contacting your doctor or professional counselor. For more severe cases of depression medication may be prescribed, but for situational depression, there are alternatives such as cognitive behavioral therapy or interpersonal therapy. Cognitive behavioral therapy helps individuals change their negative thought patterns that may be contributing to their depression. Interpersonal therapy helps individuals work through difficult past relationships. Both of these options are excellent starting points for people suffering from mild depression after a divorce. Divorce and depression are often linked but as time passes and you rebuild your self-esteem and life you will find a new normal. You should experience more good days than bad and get back to doing the things you used to enjoy.